Excel smokeless fuel is a very popular product that generates a lot of heat and leaves little ash residue. Excel smokeless fuel is a superb product, it generates a lot of heat and leaves very little ash. What's more, this coal briquette is a slow burner that is easy to control. This product is a top of the range fuel that is a good all rounder. 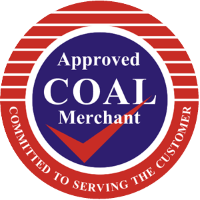 The coal is a medium size, square shaped fuel. It is easy to light and is HETAS approved and an authorised smokeless fuel. Excel is a very versatile fuel that has been an established favorite in the market for over 20 years. This fuel is suitable for use in smoke control areas. Excel smokeless fuel is idea for multi fuel stoves.